Contributed by Sameer Ather, MD, PhD. Heart disease and stroke affect men and women alike all over the world, deadlier than all cancers combined – according to the latest findings in the medical field. Of course, such terrible illnesses can be prevented if we cut down smoking and drinking alcohol and if we manage to get enough sleep. Exercise is also mandatory to keep our hearts in shape and lower the risk for cardiovascular diseases, and specialists can’t emphasize the vital importance of daily physical activity enough. However, there is at least one major change we can all commit to in order to maintain the health and function of our hearts: changing our food habits. The American Heart Association’s strategy for cardiovascular disease risk reduction focuses mainly on our power to change dietary behavior and on the introduction of certain heart-healthy foods. It is no secret that all heart specialists recommend we give up on sugar, processed foods, fast foods, and unhealthy fats, but today we will take a closer and deeper look at six major foods, all plant-based, that are true miracle workers for your heart. 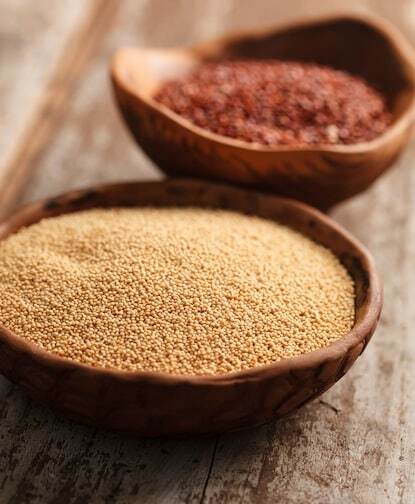 Whole grains, besides containing healthy fibers, also contain antioxidants, phytoestrogens, and phytosterols which are all heart protectors. 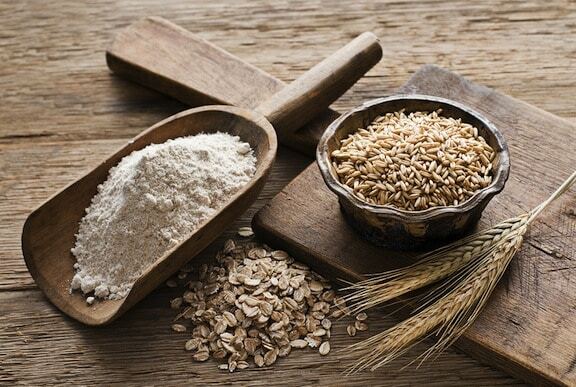 It is generally agreed that people eating a high-fiber diet have a 40% lower risk of developing coronary diseases. 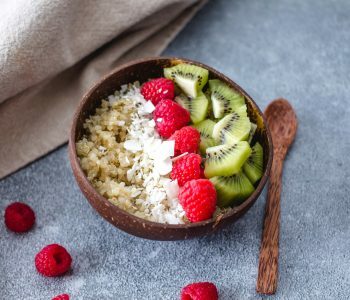 A regular whole-grain rich diet lowers blood “bad” cholesterol levels, being one of the healthiest and easiest means to clean your circulatory system. 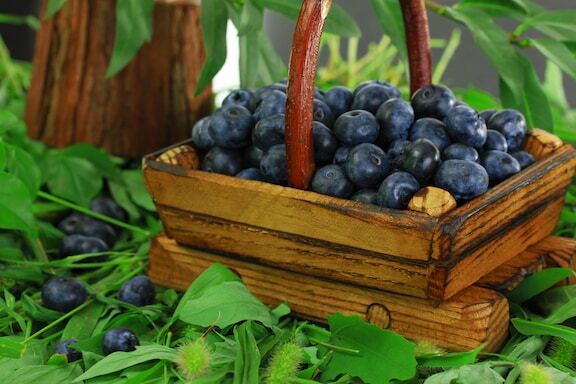 People suffering from hypertension and those wanting to protect their hearts against coronary diseases and circulatory ones should have at least three or four servings of blueberries per week. 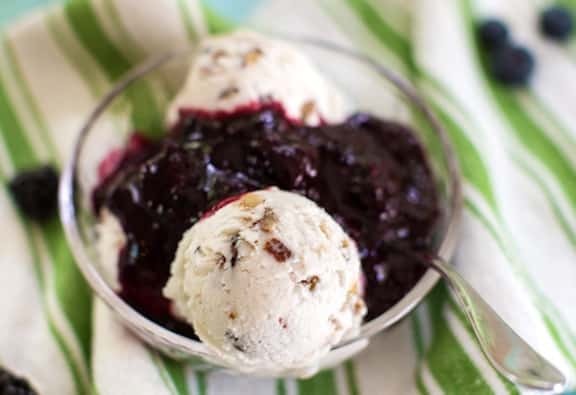 It is not hard because blueberries are delicious, and you can also eat them frozen if out of season. According to the latest research in the field, blueberries can reduce the risk of heart attack by 10% in the general population. The results are even more staggering when it comes to women, as these small delicious fruits can reduce women’s risk of coronary diseases by 33%. Blueberries contain high levels of heart-healthy flavonoids and among them, anthocyanins are powerful heart protectors. Also, research shows an interesting relationship between blueberries consumption and promising Parkinson disease treatments, so adding blueberries to your diet won’t just keep your heart in shape but also your nervous system. 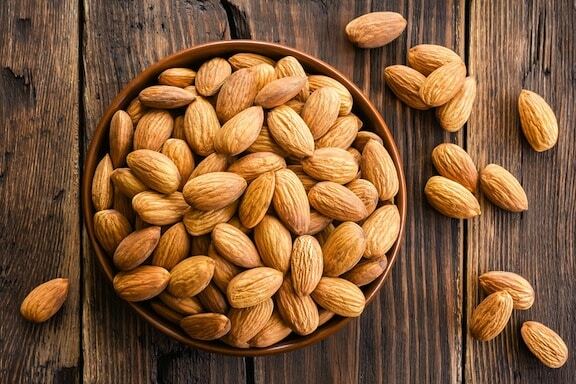 There is an old saying you’re probably familiar with: “an apple a day keeps the doctor away.” While apples are still nature’s favorite medicine, heart experts have found their new best friend: almonds. According to the latest data in the field, a handful of almonds eaten every day dramatically reduces the risk of coronary heart disease and protects you against cancer. Snacking on 1.5 ounces of raw almonds is a great option if you are currently on a low salt diet. Consuming them on a daily basis reduces hunger, boosts the levels of the essential E vitamin and healthy fatty acids with no increase in body weight. 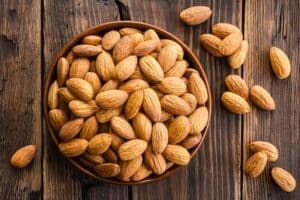 Moreover, having a handful of almonds daily maintains your healthy cholesterol levels and prolongs your life expectancy by lowering the chance of developing cancer. Almonds are rich in magnesium, vitamin E, iron, calcium, fiber, and riboflavin, all being nutritious elements with heart and cancer protective powers. 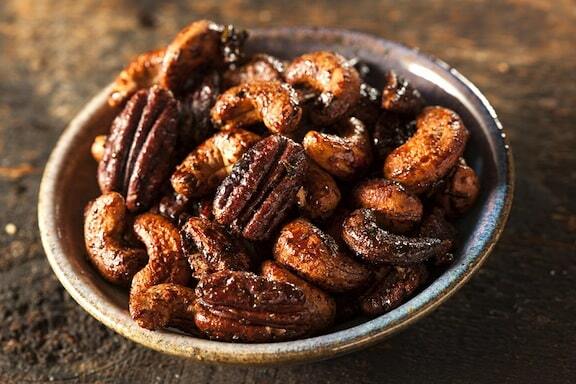 Among all the nuts available, almonds present the highest levels of fiber and contain 91-94% unsaturated fatty acids. This is why almonds can successfully replace fish in your diet as a source of fatty acids. 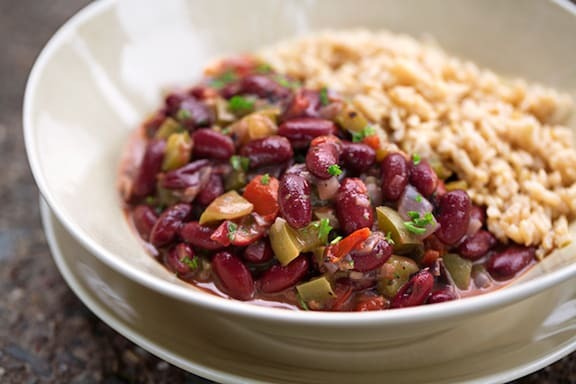 Many people avoid eating beans on a regular basis because of the gassy effects, but thoes wanting to protect their hearts and live a healthy (and even prolonged) life should bring some beans to their table. 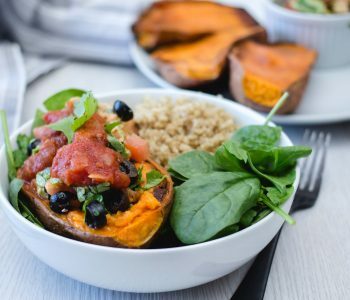 You don’t even have to eat a lot of them – a study published in the Journal of Nutrition states that ½ cup of pinto beans a day significantly lowers your bad cholesterol levels. Just like whole grains, beans also contain very high levels of soluble fibers which bind cholesterol to the bile acid and prevent it from getting absorbed into the gut and circulated via the blood flow to your vessels and heart. As the beans ferment (hence the gassy effects), they also modify the healthy fatty acids chains, thus inhibiting cholesterol formation even more. Moreover, beans also contain flavonoids, just like berries, that inhibit the platelets’ adhesion in the blood, lowering the risk of coronary heart diseases. One of science’s favorite superfood, broccoli is often underappreciated. That’s because it contains more vitamin C than citrus fruits and has not only heart-protective powers but also anti-cancer and anti-inflammatory properties. Broccoli should be consumed at least three times a week, but don’t overcook it. 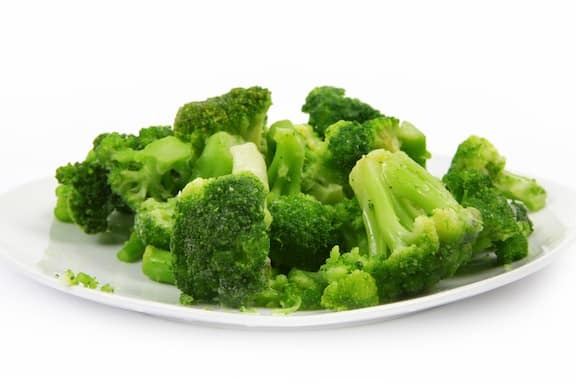 Lightly steamed broccoli contains extremely powerful enzymes that fight against cancer and coronary disease and it is currently researched for its preventative role against osteoarthritis. First and foremost, you should know that 100 grams of broccoli a day provides you with over 150% of vitamin C’s recommended daily intake. So this is your most delicious common cold treatment you can ever hope for. When it comes to heart diseases, broccoli proves to be a true superhero: fiber, calcium, potassium, folate and phytonutrients (such as flavonoids) are the main components of the delicious veggie. 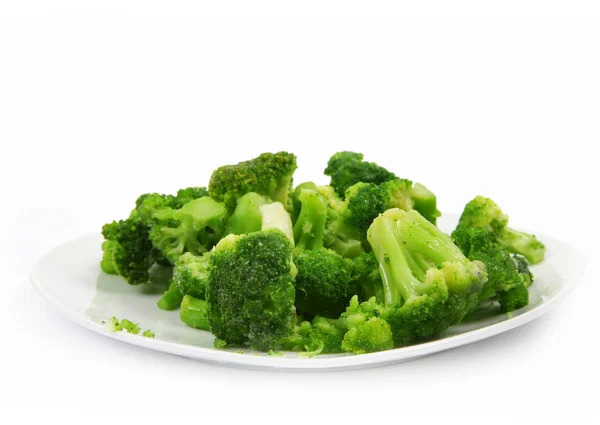 For even more tasty health benefits, you should know that broccoli contains high levels of anti-oxidants – our natural allies against free radicals and cancer. We saved best for last because we do need some treat at the end of the day and nothing beats flavanol-rich scrumptious dark chocolate. 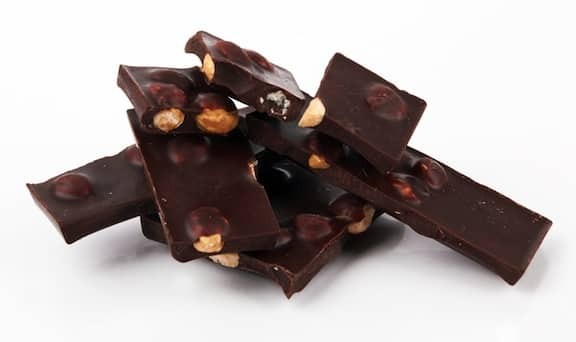 As a general rule, we are talking about over 70% dark chocolate containing low amounts of sugar and no milk. A few pieces of dark chocolate a day (or even better – a cup of cocoa drink with no milk and sugar) lower the risk of heart diseases by 9%. Containing unusually high levels of flavanol (a subgroup of flavonoids) – a compound that helps thinning the blood – dark chocolate acts as a protector of blood vessels, as it keeps them young and healthy. In turn, such an effect lowers the risks of high blood pressure, type 2 diabetes, kidney disease and neurodegenerative diseases like dementia. Even better yet, cocoa is known for containing also unusual levels of epicatechin – a compound that boosts the levels of nitric oxide with direct and crucial effects on the health of the blood circulatory system and heart. The nitric oxide keeps your blood pressure in check, preventing hypertension and the subsequent heart and brain negative consequences. 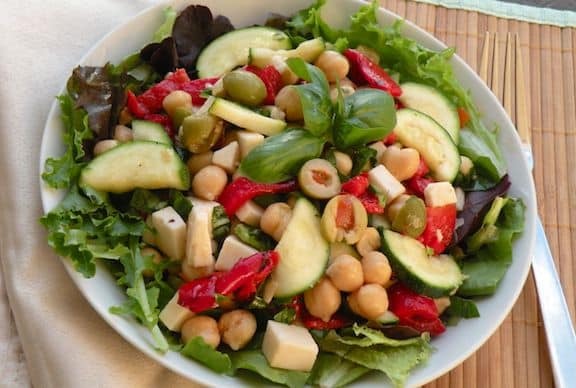 You can have the best of times mixing and matching these six healthy foods to have an amazing diet, surprise everybody with innovative recipes and keep your heart young and healthy for ages. What other foods do you eat to lower your risk of coronary diseases? Sameer Ather is an MD, PhD, cardiologist based in Birmingham, Alabama and CEO of the health platform XpertDox. Passionate about helping people live a healthier life, Sameer is now focusing his efforts on researching Hashimoto’s Disease.